A closer look at Equine Advocates, Saratoga WarHorse and New Vocations. In the beginning, Saratoga Springs owed its status as a luxury vacation destination to the mineral-rich waters flowing beneath its surface. Now, more than a century later, though the spas still hold their magical appeal, we truly owe it all to the horses. Without the Thoroughbreds that live, train and compete at Saratoga Race Course each summer, our city would have become a forgotten gem from an earlier era. 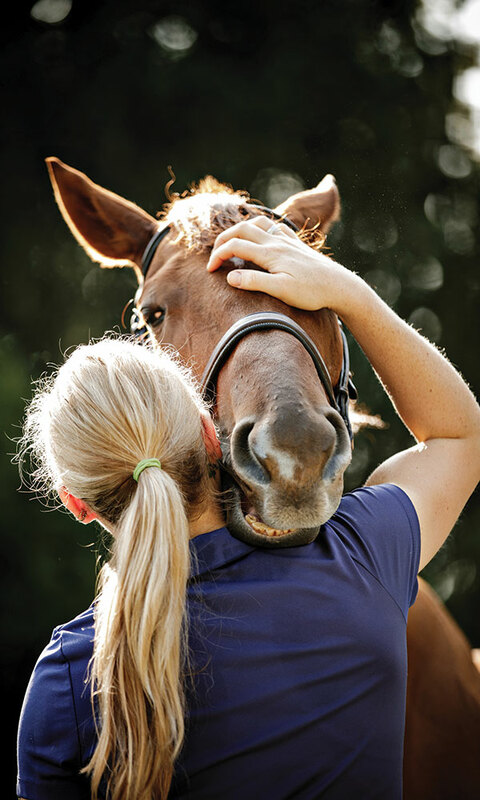 To give back to the horses that have given so much to our city, many organizations in Saratoga and beyond are working to provide happy lives for Thoroughbreds and other horses after they retire. Here are three nonprofits that are proving a horse’s last lap isn’t the end of the line. It’s the beginning of a new, exciting chapter. Just talking to Wagner, I can tell Equine Advocates, the foundation she started in 1996, and her sanctuary, which opened in 2004, are her life. With 83 equines—horses, ponies, donkeys and mules—in her care, it has to be. Wagner started Equine Advocates after she rescued her first horse, Gandalf, from slaughter. Since then, she’s rescued thousands of equines, and now brings her rescues to live out the rest of their lives in the sanctuary. Most of the equines Wagner rescues are, like Gandalf, headed to slaughter; they’re either already in a kill pen, or about to go to auction, where they’ll likely be purchased by kill buyers—middlemen looking to sell the animal to a slaughter plant. Others come directly from racetracks because of on-track injuries, or, like the donkey she rescued this winter, from situations of neglect. Each year, Equine Advocates hosts an annual gala to raise funds for the organization and to honor individuals doing admirable work to benefit equines. One of last year’s honorees was legendary New York City socialite, humanitarian, actress and saratoga living contributing editor, Cornelia Guest, who was honored for her work to bring an end to horse slaughter. “Susan Wagner has such incredible knowledge,” Guest tells me. “I think to have someone with such an incredible understanding fighting for horses is fantastic. She walks the walk and talks the talk. Most people are simply not like that.” I agree—she’s the real deal. In college, I did my senior thesis on childhood trauma—specifically on children placed in out-of-home care. I was interested in how early childhood events (like being removed from one’s parents) could manifest in such a defining way, even in adulthood. Throughout my research, I came across many organizations, family service professionals and counselors working to help children who had what are called Adverse Childhood Experiences (ACEs), and though these organizations were certainly making a difference, it’s often not enough. However, I’d never heard of any trauma programs involving horses. Until now. 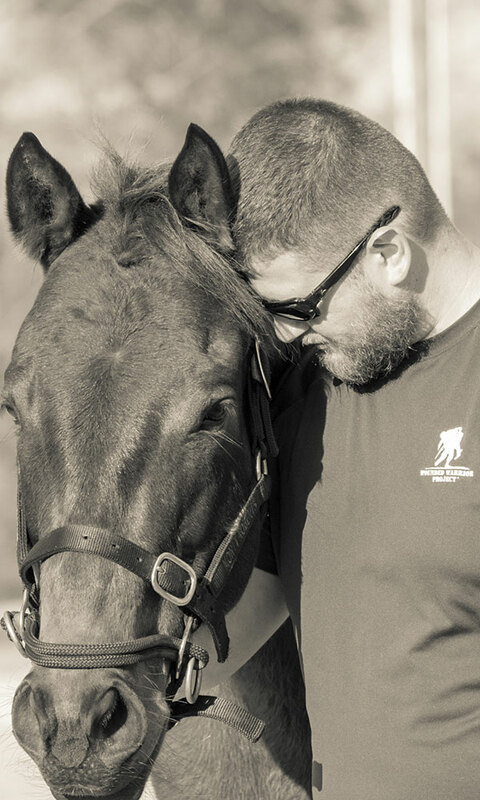 Saratoga WarHorse is a three-day experience for war veterans who are struggling to adjust to life after military service. The program, started in Saratoga by Bob Nevins, a veteran himself, is an interactive experience between off-the-track Thoroughbreds and veterans. “I don’t do therapy,” Nevins says. “And I’m very clear with the veterans that we don’t do therapy; we don’t do touchy-feely.” Instead, Nevins teaches veterans how to “transcend the language barrier” with the horses, which are, by nature, flight animals. When the horse realizes the veteran knows its language, it asks for protection. “It asks you: ‘Can I bond with you? Will you become my new herd leader? Can I trust you?’” he says. Thinking back to my senior thesis, I can’t help but wonder if Nevins’ methodology could be applied to victims of childhood trauma. “Absolutely,” he says when I ask him. “That’s what I’m trying to do: I’m trying to elevate this to a scientifically validated procedure that could benefit thousands of children, thousands of sexual assault victims. But I’m perfecting it here. And once it’s perfected, it can be duplicated.” For the sake of the hundreds of thousands of children who are born into situations that expose them to traumatic events, I can’t wait for that day to come. Note: Shortly after this story was published, saratoga living learned that Bob Nevins, Founder and Director of the Veteran Program at Saratoga WarHorse, was no longer with the organization. While representatives within the organization didn’t immediately respond to a request for comment on Nevins’ departure, they did send out a press release on July 31, announcing the appointment of Army veteran Allison Cherkosly, Ph.D. as the organization’s new Executive Director. When I interviewed Saratoga Springs-based photographer Tracey Buyce for “The Saratoga 20” feature in saratoga living’s 20th Anniversary Issue, I remember two of her most memorable answers: She can make the best horse noises, and she takes “glamour shots” of retired racehorses to help them get adopted. While I was certainly impressed by her whinny, I was more interested in her work with New Vocations, a racehorse adoption program in Ballston Spa. 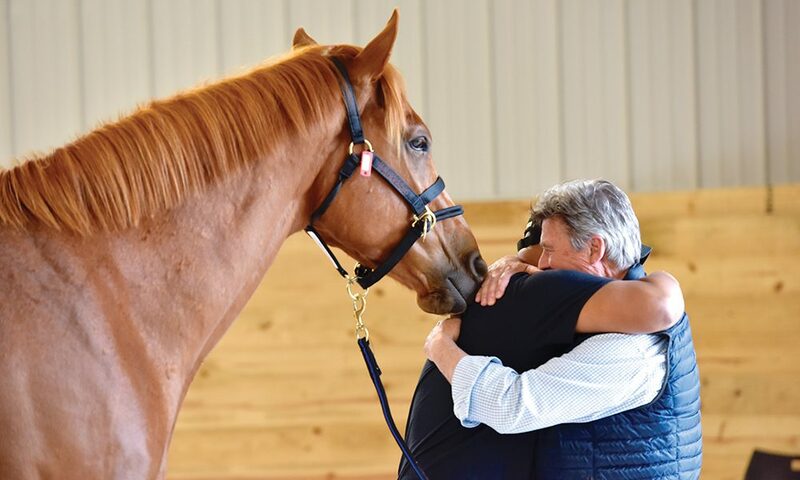 New Vocations, which has its national headquarters in Lexington, takes in retired Thoroughbreds and Standardbreds and trains them to be something other than racehorses. The number one discipline the horses are retrained for is pleasure trail-riding, followed by eventing, hunting and dressage. “We call it transitional training, because it really is like getting a completely new job,” says Leandra Cooper, the Thoroughbred Trainer at New Vocations’ Ballston Spa facility. 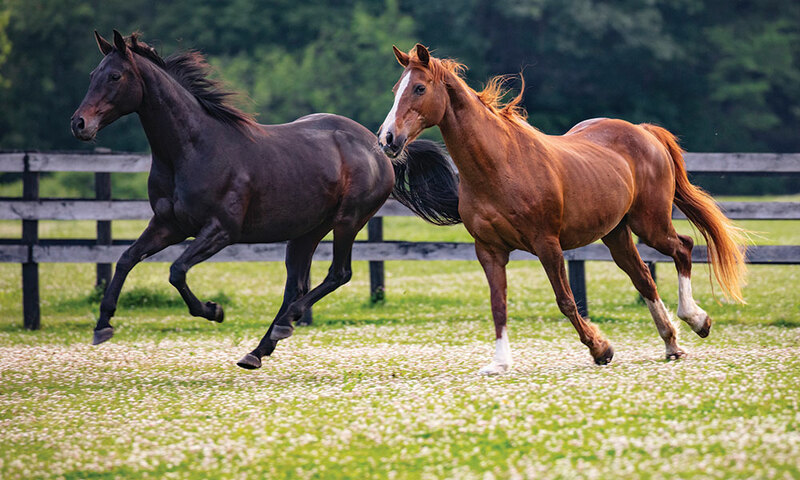 “The horses are generally really young when they come in, so they need a little bit of help to adjust to the new lifestyle.” While racehorses can live to be between 25 and 30, they usually retire—and come to New Vocations—at only a few years of age. Besides the Lexington and Ballston Spa locations, New Vocations has an outpost in Pennsylvania and three in Ohio. Last year, the organization had a total of 1000 adoption applications come in. Of those 1000, 400 horses were adopted out. “The reason why we didn’t adopt out 1000 is because there’s a lot more interest in the horses that aren’t limited in what they can do, and the majority of the horses we’re getting have some type of limitation,” says Anna Ford, New Vocations’ Thoroughbred Program Director. That limitation, she says, is usually a physical injury sustained during the horse’s racing career. These racing-related injuries (and fatalities) have obviously been a topic of much controversy in recent years at Saratoga. For this reason, organizations like New Vocations are imperative to the racing industry, Ford says. “New Vocations helps draw more fans to the industry,” she says. “One of the biggest concerns of people outside of the racing industry is what happens to the horses. So the more we can spread the word that there are programs out there like New Vocations, the better.” She’s right. As someone not directly involved with the racing industry, it warms my heart to know that we’re taking care of the horses that make Saratoga what it is, right here in our own backyard.